Text Styles are design elements consisting of grouped items that can be used and customized in different designs. This, unlike individual elements, are grouped to form an emblem that can be used as is. They are more like mini-designs. Add Text and Shape to form a coherent design on the canvas and group select them. You can click the plus sign to create a new category or you can export to the selected category, Now click 'Ok'. 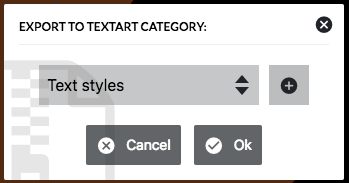 Your new Text Style should appear in the Text Panel when you load any of your designs assigned to a product. Keep it simple and less cluttered as customers might need to edit them. Use only a combination of shapes and texts. It takes to long to load images. 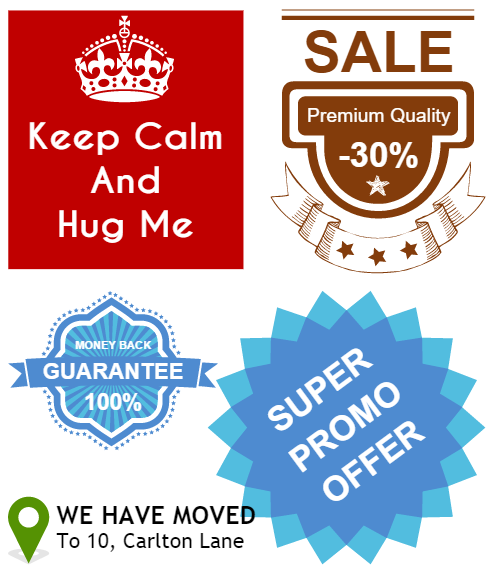 Make use of fonts that will be available for that design. If the font is not loaded for a particular design, then the app will resort to default fonts. TextBox does not scale well in grouped items so kindly use default TextArea only.